So, BSkyB has lost the battle over what price it charges rivals Virgin Media, BT and Top Up TV to transmit Sky Sports, after the regulator Ofcom imposed a swingeing cut of nearly 24% on wholesale prices paid for Sky Sports 1 and 2. You wouldn’t think so, though, to judge by BSkyB’s share price which, in early trading this morning, soared 3%. Now why would that be? One other thing. Ofcom has given the go-ahead to BSkyB’s Picnic project, as a quid pro quo to accepting its wholesale prices ruling. Picnic, which stalled some time ago after running into trouble with the regulator, would enable BSkyB to replace its three Freeview free-to-air channels, Sky News, Sky3 and Sky Sports News, with a potentially lucrative pay TV proposition. No wonder the City is chortling. BSkyB, however, seems less happy. It has immediately lodged an appeal against the Ofcom ruling. Which, given the lengthy legal prevarification involved, will make its rivals even more irate. For more on the background to the pay TV dispute, look here. It may be a blessing or a curse depending on the outcome. Apple has got another launch up its sleeve, hot on the heels of the iPad, and this time it’s focused tightly on the advertising community. The name is not known, although iAd has been touted as a possibility. More clear is its purpose – a proprietary Apple platform for mobile advertising; and also the date on which it will be unveiled to Madison Avenue – April 7. Mobile may be the new digital, but it suffers from being a minuscule market (about $330m in the USA) in part because of the absence of a dominant platform. So yet another one on the market is not, to all surface appearances, going to be terribly helpful. Or is it? These days, Apple is arguably better at platform-building than producing state-of-the-art gadgetry, which is saying quite something . It’s just possible that iAd will do for the mobile competition what iTunes did for the record industry and the rest of the MP3 market. Certainly the launch comes at an interesting time, with the mobile sector being refreshed by a surfeit of apps launches (not least Apple’s own) and the relentless march of the smart phone down market. Not least, there is the possibility of a clash of the titans with Google, which has waded into the market with its Android mobile operating system. More on this here. Commentary on Carolyn McCall’s decision to quit the top job at Guardian Media Group in favour of the top job at Easyjet has tended to focus on two astonishing observations. The first is that she is a woman; the second, that she doesn’t know anything about aviation. Both spot on, of course. But it’s the sly implication behind them that’s the real blinder. If she’s a woman, poor dear, she’ll be utterly outclassed in the macho world of boys toys. Whatever was she thinking of leaving the comfortable, cocooned world of GMG? Maybe it’s just me, but I’ve never noticed Guy Zitter, Murdoch MacLennan or Les Hinton wearing a skirt. The management of newspaper publishing, in which McCall has spent most of her career, was until very recently a dauntingly masculine environment. The first to break the glass ceiling was Sly Bailey, when she took over at Trinity Mirror in 2003 – and she herself was a product of the more genteel, feminised world of magazines. Only now is change in the air, with Rebekah Brooks (formerly Wade) taking the helm at News International. The credit for leading the way, however, should really go to Caroline Marland, once chief executive of Guardian Newspapers, and her young protegée McCall, who succeeded her in 2004. Like any disciple of talent, McCall has exceeded the achievement of her mentor – by being the first woman to head the organisation as a whole. There’s a second, and somewhat overlooked, dimension to McCall scaling the heights of GMG. More important than being a woman, she’s an insider; whereas traditionally the job of group ceo has gone to a seasoned outsider, well versed in the ways of the City but coasting through the autumn of their career. The late Sir Bob Phillis springs to mind. For someone like McCall, in her forties and highly ambitious, this was never going to be her last job of consequence. All the same, it was a formative experience that created a window onto the world of plcs. On the one hand, GMG is unique in being governed by a trust, whose primary purpose is not to appease shareholders but to guarantee the editorial independence of The Guardian and associated GMG newspapers. On the other, it shares exactly the same structural problem facing the rest of the print-based media, most of whom are public limited companies: how to survive the internet. It so happened that during McCall’s tenure, this crisis has come to a head, giving her the opportunity to shape the organisation for years to come. She’s divested and she’s acquired; she has given whole-hearted commitment to an open online strategy – as opposed to the paywall route now being explored by Rupert Murdoch et al. With what results, we cannot yet be certain. The divestment of half the Auto Trader group to private equity company Apax looked a smart move; the subsequent decision to join Apax in carving up the Emap empire less so (if only because the world financial crisis intervened, making the acquisition look very over-priced). Probably, she should have closed the heavily loss-making Observer when she had the opportunity to do so – although the decision to make cuts elsewhere is entirely understandable within the context of the Trust. The success of the online strategy pioneered by McCall and Guardian editor Alan Rusbridger will be a matter of opinion for some time to come. The important point, though, is that the die has been cast. But why, of all places, seek a new challenge in the world of aviation? In fact, the similarities between a newspaper publishing group and an airline are greater than they might seem at first sight. Both are high-fixed-cost businesses whose profitability is highly sensitive to the economic cycle. Both industries have been forced into great change in recent years, which has involved shedding costs and people. Both exist within a regulatory straitjacket that makes industry consolidation an unlikely solution to economic difficulty. Both, so far as leadership is concerned, have an entrepreneurial ‘seat of the pants’ feel to them. I could go on…the point being that relevant, rather than previous, experience is the key requirement for the Easyjet job. Final proof being that McCall’s predecessor, Andrew Harrison, came not from the airline industry but from the RAC. He has gone on to Whitbread. One other quality that might come in handy from McCall’s Guardian days is her skill as a boardroom tactician. The airline industry is not known for its diplomatic finesse – witness the clumsy confrontation at BA and the management style of Ryanair. But it will certainly be at a premium in the boardroom of Easyjet, where the airline’s founder and major shareholder, Sir Stelios Haji-Ioannou, has been in a smouldering feud with the management team over the airline’s strategy. We all know that Simon Clift, chief marketing officer of many years’ standing at Unilever, is stepping down. What’s less apparent is whether the imaginative, regenerative campaigns associated with his tenure are also on the way out. Clift inspired or was responsible for, among others, Dove Real Women, the award-winning Axe/Lynx campaigns and Persil’s Dirt is Good. There are some reasons for supposing campaigns such as these may be casualties as new Unilever chief executive Paul Polman tightens his grip on the organisation and cements in place a new top team. Polman, in a move unprecedented in Unilever’s history, was parachuted in over stiff internal competition to fill the role somewhat over a year ago. Immediately he came from Nestlé, but the important thing to remember is his 27 years of experience at arch Unilever rival Procter & Gamble. He’s a marketer, Jim, but not as Unilever knows it. Some commentators see the hidden hand of P&G training in accelerated product extensions and more emphasis on “moment of truth” style promotional advertising since Polman’s arrival. They surmise that action-oriented Polman – who has had a fair degree of success so far – was unsympathetic to Clift’s subtler, slow-burn approach. They detect a more dictatorial, metrics-driven attitude to agencies, which bodes ill for “open source” creativity. So two very different perspectives on the Clift era. Further insights (on a strictly confidential basis) very welcome. In the meantime, there’s more on Polman cracking the whip and changing the guard in this week’s magazine column. Feeling bored? In need of stimulation? Then turn to Nestlé’s corporate Facebook page to find out just what a pig’s ear the global brand is making of its social media usage. In Nestlé’s case “fools” and “angels fear to tread” comes to mind. Given its history of ill-inspired corporate communications, I would have been extremely wary of handing critics any kind of social platform at all, let alone one as popular as Facebook with its claimed audience of 400 million. Here’s why. Call it the curse of Ernest Saunders if you like (except Guinness, much worse afflicted, has entirely recovered). 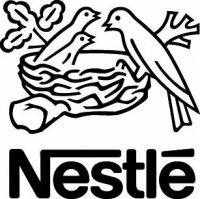 Saunders was at one time a senior Nestlé executive involved in what can only be described as a corporate cover-up of deaths in the Third World which had occurred after consumption of the corporation’s infant milk formula. It should be said the formula itself had little to do with these deaths, which were caused in the main by the toxic water it was mixed with. And it should be added that this product was never for sale in the UK or Scandinavia, where for a generation students and the sons and daughters of these students have kept aflame the “black history” of Nestlé poisoning babies, much to the bafflement of local management teams who, in all probability, have never had anything to do with the product. Now I’m sure you can guess where I’m going with this. Yes, once upon a time campus malcontents had to restrict themselves to the student demo, the rag and various forms of samizdat based on John Bull printing technology to propagate their message. But now they’ve got a global internet platform expressly made for their requirements. That, at least, was the specific intention of Mark Zuckerberg when he launched Facebook in 2004. In the event, it has found a much wider application than the student common room, but let’s just say 18-25 year old ABC1s remain a core audience. Things have moved on for Nestlé’s corporate reputation as well, but not in a positive direction. Palm oil plantations, by the way, are the new infant milk formula scandal. Thanks, it seems, to Nestlé’s wicked connivance with loggers and planters, the orang-utan is threatened with extinction; and all in the name of tawdry commercial advantage. This one should run and run. I also note in passing that “fans” – in a final two-fingered salute to Nestlé’s revered brand values – have been making light of its logos. “Killer”, done à la Kit Kat, is one of the more eye-catching examples. And there’s not a thing Nestlé can do about it. After all, removing it will only make matters worse. As for legal action…don’t even think about it. “It should be about empowering the community and being honest about mistakes. This exposes a real need to train staff in social media and not see it as something that brands can put junior staff in charge of.” Junior – I suspect – no longer, Louise. Now, I know what some of you might say. We’re all missing the point here. Actually, Nestlé’s comms team is being fiendishly clever by drawing the poison from all this juvenile ire and confining it to a relatively small “space” where it can be harmlessly dissipated. Come again? Nestlé’s doing what? No, Louise is right first time: Nestlé simply hadn’t thought through the corporate implications of what it was doing. All of which moves us neatly on to one of the main motifs of the annual ISBA conference, held in London last week. Should advertisers ever tangle with social media? There are examples of timely first aid out there. ISBA director Debbie Morrison mentions one in Pitch, featuring Dell. The PC manufacturer was able to turn around an irate blogger, complaining about poor service, by using Twitter as a customer service and sales platform. But these edifying examples are few and far between. Social media have a proven track record – placed in the right hands – of virally advancing causes. It was a point eloquently driven home during the presentation given at the conference by Thomas Gensemer, the new media comms expert who helped to get Barack Obama elected. It is less obvious how brands can monetise these sites, or indeed what they are doing there in the first place. No one wants a spammer. Audible sighs of relief are rippling through the Advertising Association and drinks trade body The Portman Group now that the Government has summarily kicked into touch some of the sillier proposals recommended by the House of Commons health select committee last January. Especially retrograde was the suggestion of a 9pm watershed for drinks ad, which was last howled down in 2006. And even more worrying, the naive recommendations that could have hamstrung major sponsored events. But the wooden spoon for unworldliness must surely go to recommendation 18 (if you can bear to read the detail here it is), that proposed the drinks industry be monitored by an independent statutory watchdog modelled on the – er – Financial Services Authority, which has done such sterling service in the name of bank regulation. Haven’t these MPs come across the new cross-party mantra of “partnering” with industry yet? Not that anyone will want to gloat in public about this, but I suspect a great deal of private glee is also to be had from the knowledge that some of these shelved proposals seemed ghost-written into the report by Professor Gerard Hastings, the bête noire of free-market regulators. One other thing. The Government’s robust defence of the existing self-regulatory mechanism and rejection of many of the health committee’s findings provide crushing evidence of how feeble these select committees are (with the exception of the public accounts committee – a very different specimen). But beware. Cross-party-endorsed reform may be on the way, emasculating the whips’ current power over committee selection. Meaning it won’t be so easy for HMG to ride roughshod over any findings with which it does not agree. Good for democracy perhaps, but not so good for the UK drinks industry. You are currently browsing the Stuart Smith's Blog blog archives for March, 2010.